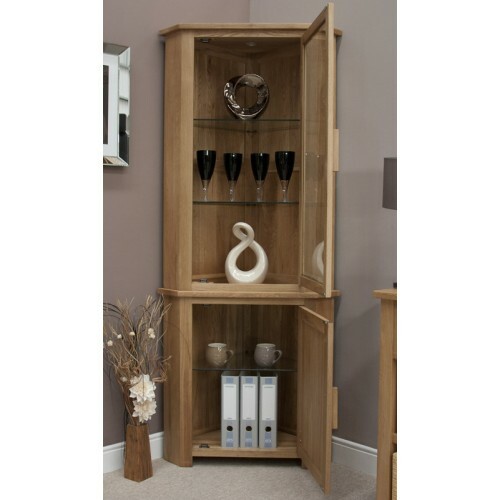 The Opus Oak Corner Display unit is made from 100 % solid oak with a light lacquer oak finish, manufactured using traditional dovetail joints with solid wood panels throughout. 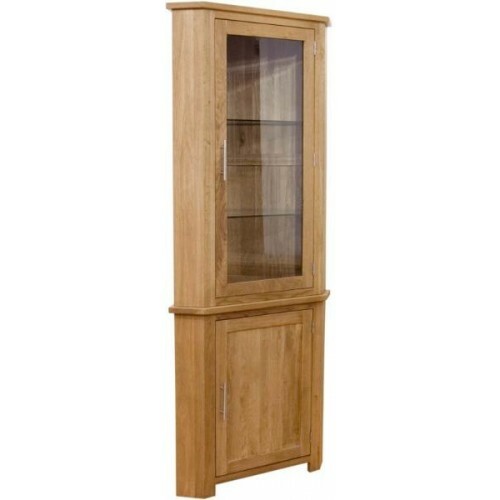 This corner display cabinet features a stylish glass corner display unit with two adjustable glass shelves and an internal light for a real wow factor. 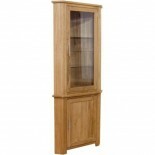 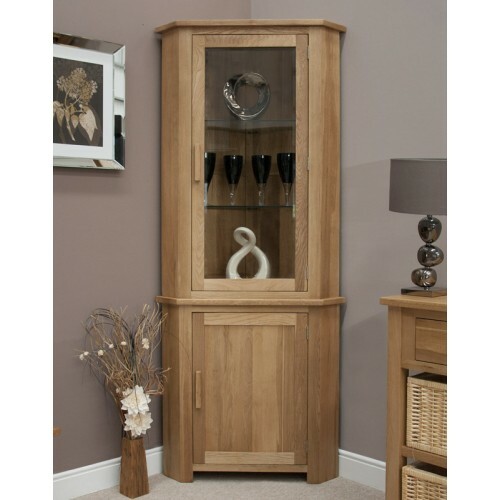 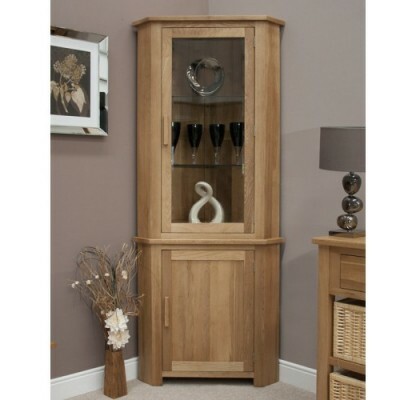 The corner unit also features a cupboard at the bottom with a solid oak door, perfect for storing anything away from display. 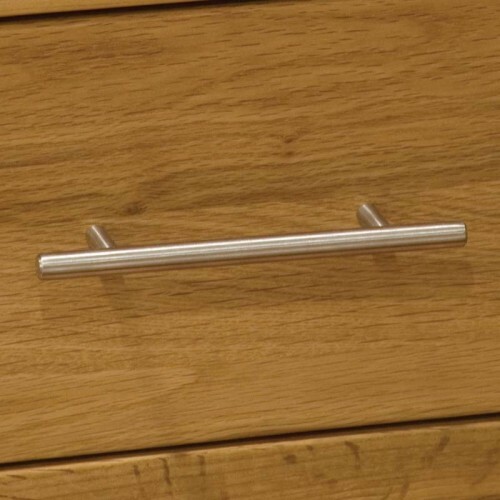 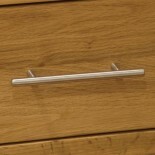 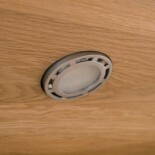 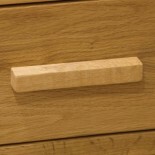 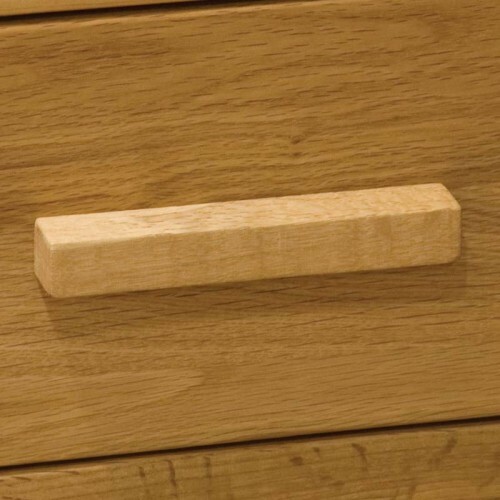 Chrome handles are fitted as standard on the Opus Oak range of furniture, but can also be available with wooden bar handles if a more traditional look is required.